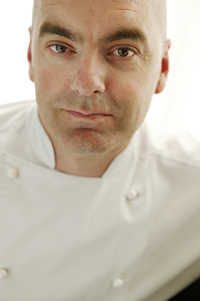 Seasons, Millennium Seoul Hilton's acclaimed gourmet French restaurant, will welcome renowned guest chef Mark Best of the acclaimed Marque Restaurant of Sydney, Australia. 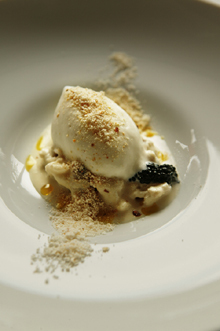 For a limited time (April 11-15, 2006), Chef Best will cook up an inspired tasting menu of French cuisine gems. Best opened Marque restaurant in 1999 to immediate critical acclaim, having earned the highest rating (3 hats) in the Sydney Morning Herald's "Good Food Guide" for the last three years. Best has been cooking for fifteen years, and has worked under Alain Passard in Paris at the famous Three Michelin Star restaurant, L'Arpege. Best's brand of French cuisine experiments with the art of surprising the palate, while still maintaining traditional values. Best will cook up some of his best, including: Chaud-froid Free Range Egg with Caviar; Almond Jelly with Crab, Almond Gazpacho, Prune Oil and Sweet Corn Custard; Mille-feuille of Smoked Slimy Mackerel and Sesame Salt; Seared Foie Gras with Banyuls Vinegar and Olive Liquorice; Risotto of Calamari and School Prawns with Baby Basil; Slow cooked Squab with Parsnip and Chocolate Tart; Roast 500-day Grain-fed Beef with White Bean and Lemon Puree with Green Dates; and Cocoa Vermicelli with Cherry & Cherry Soup. Don't miss this amazing opportunity to taste the wondrous culinary talents of a chef of this calibre. Mark Best's special guest table d'hote dinner is priced at KW000++ per person. Also at the Millennium Seoul Hilton, the Japanese restaurant Genji will host its acclaimed Shogun's Table on April 20. With the well-timed theme of "Spring," the latest Shogun's Table will feature the rarest and finest of Japanese cuisine prepared in the time-honored manner once reserved for Japan's elite Shogun warriors. This nine-course dining extravaganza will be accompanied by a selection of wines and traditional Japanese liquors, and is priced at KW123,000++ per person. Seasons is now open on Sundays, offering two special set menus (one for lunch and one for dinner) in addition to its a la carte menu. The lunch set menu is priced at KW45,000++ and the dinner set menu is priced at KW65,000++. Both multi-course meals include unlimited wine and soft drinks. From Monday through Saturday, Seasons offers two special set menus: the Gourmet Menu and the Epicurean Menu. The Gourmet meal consists of 4 mouthwatering courses at lunch (KW41,000++/KW49,000++ with a glass of wine) and 5 delectable courses at dinner (KW73,000++). The Epicurean meal features 5 scrumptious courses at lunch (KW62,000++/KW70,000++ with a glass of wine) and 7 heavenly courses at dinner (KW85,000++). For reservations or enquiries, please call Seasons at (02) 317-3060 or Genji at (02) 317-3240.